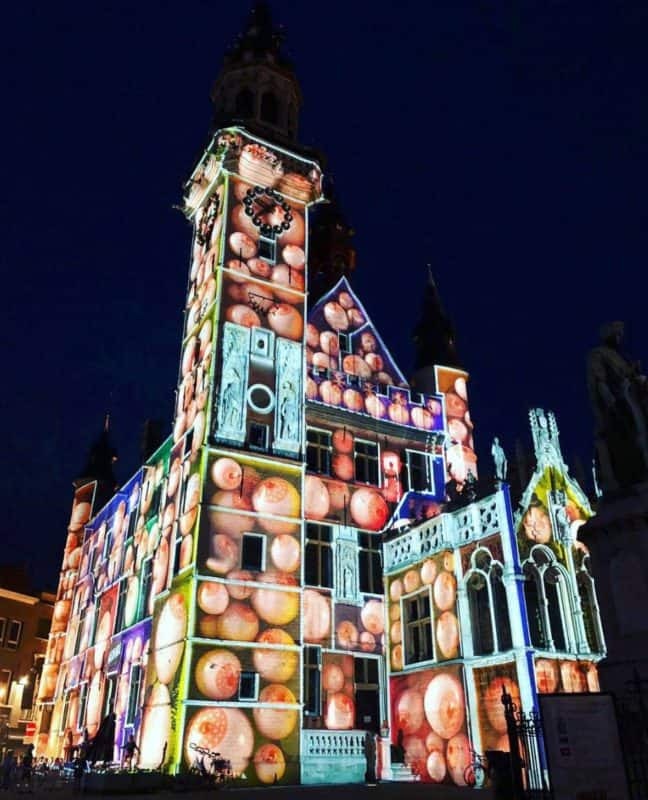 For this year’s open air festival Cirq 2018 in Aalst -city of Oignons- a video mapping on the Belfort was required. In local Flemish language / dialect, the tower is also called “den Tettentoeren”. I leave it up to one’s imagination what that could mean. We were happy to contribute to this show, using our skills to rapidly align and operate this mapping. Projection on this building was done using 9 Barco UDX 32 projectors. A great powerhorse with enormous light output. d3 4×4 mediaserver provided flexible mapping.